Before embarking on your day's adventures, pack your travel bag in style with a bold silk statement. A bow accent is a great way to store your scarf in style while keeping it accessible for any upcoming occasion. I've had my fair share of embarrassing candid photos thanks to the battle between the wind and my uncooperative hair. For seamless exploration, a silk scarf works wonders as a headband that adds both convenience and personality. Keep it classy with a lady-like shoulder drape knotted over a basic top. For a quiet stroll through the park or brunch with the girls, this scarf look immediately dresses things up without the need to change the entire outfit. 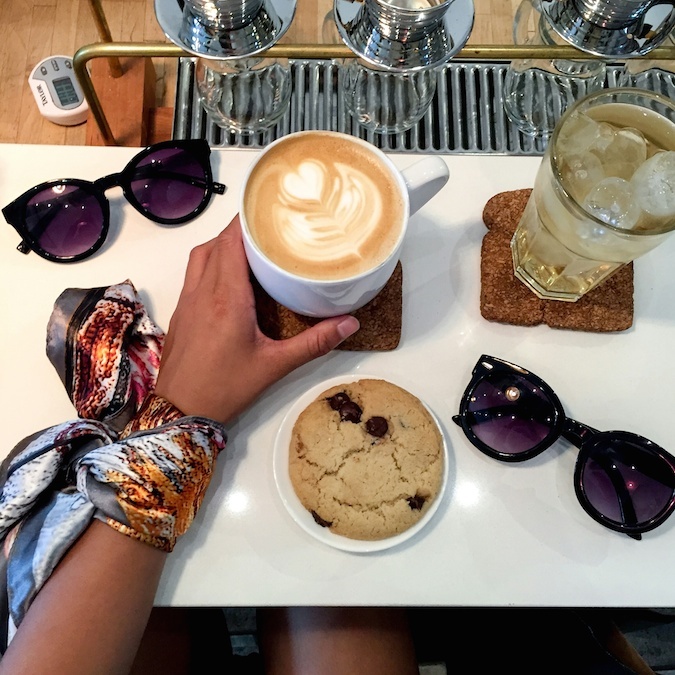 Every busy day of travel needs an afternoon caffeine break, and a statement scarf ensures that not a minute goes out of style. Tie the piece around your wrist for a bold arm candy alternative, as well as quite the conversation starter. Subtle statements are my favorite when it comes to dressing for a night out to dinner. When tied in a bow around the ankle, a silk scarf is transformed from an afternoon neckpiece to an elegant evening accessory. Unwind from a day of exploring with an evening in the park. 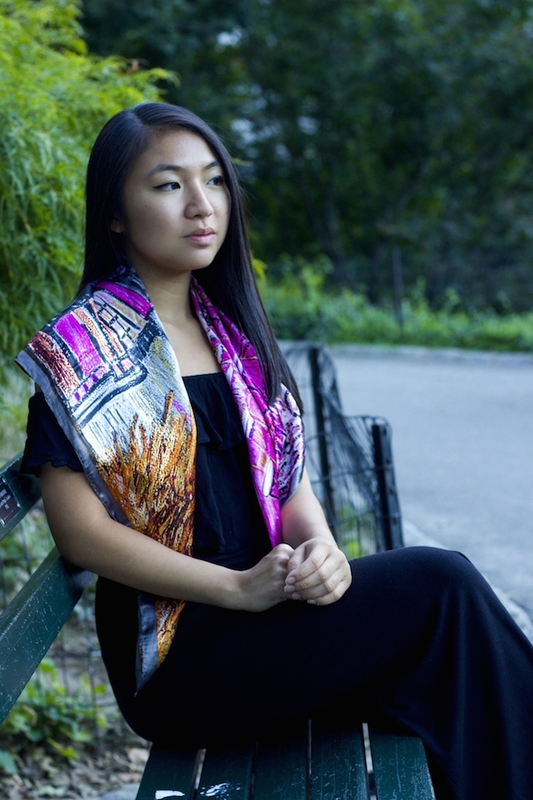 An easy drape over the shoulders serves as an alternative shawl while showcasing the scarf's extravagant print. I am so excited to continue this travel series over the next few weeks to share my tips on maintaining personal style without breaking the bank (or your luggage). Working with Coutourist has inspired me to get creative with a simple wardrobe, and I encourage you to join the challenge as well. To get a head start, feel free to use the code MTB003 for free shipping on your entire purchase at Coutourist. There are a dozen statement prints to choose from! 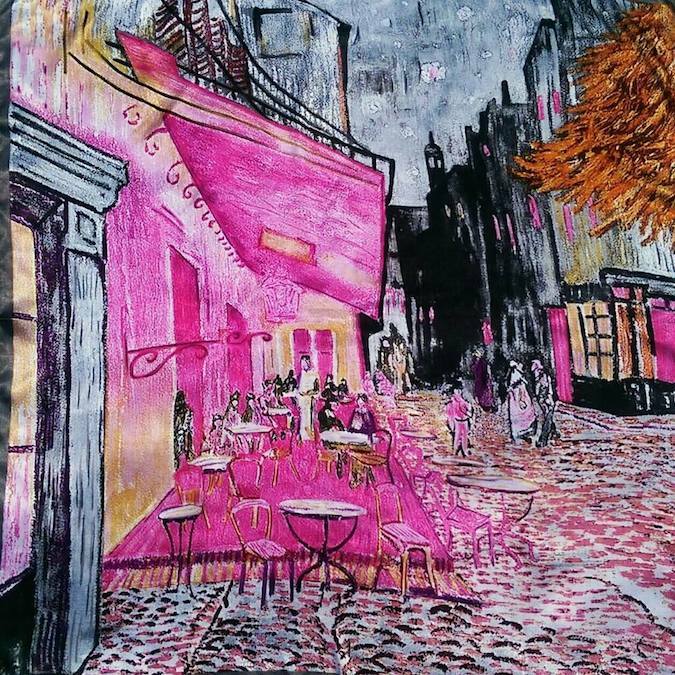 Coutourist will also be donating 5% of sales to Breast Cancer Awareness for the entirety of this challenge, so start choosing your favorite prints now! Be sure to stop by next Sunday for six more ways to style the latest travel necessity. 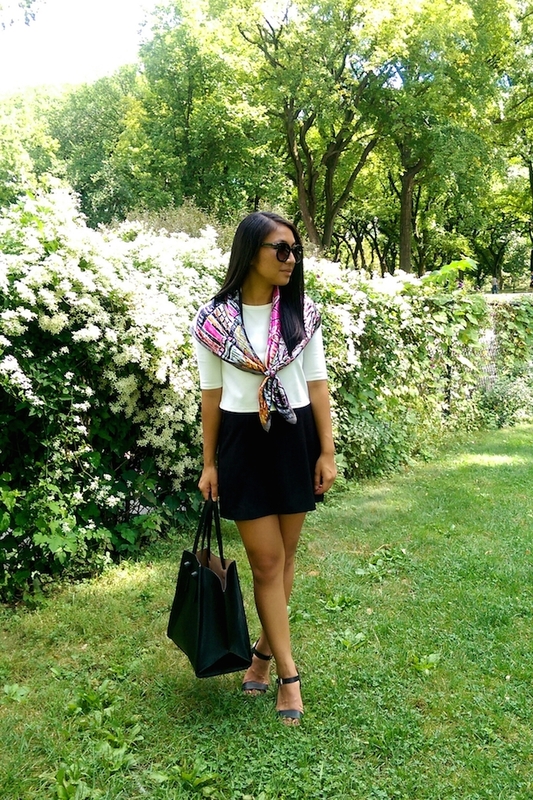 How would you style your Coutourist scarf? You look so classy! I am loving the second outfit (the black one). Yep, we need an afternoon caffeine break! hahaha. Wait, that's a painting right? so nice to look at. I love this post! This is so inspirational! OMG, I never know how to style these and you just gave me so many good ideas! I especially love it around the ankle with heels! Thanks! That is one of my favorites as well! Gorgeous photos, i love your scarf, super gorgeous. Hey Christina! Wow, I'm not one to usually wear scarves but can't believe you can use so many different ways with one! That gives me some inspiration to maybe get myself a scarf (once the weather cools down here haha). Love your outfits and can't wait to follow more! Thank you Vivian! Hope you're doing well! Love how you styled the scarf, I prefer it tied around the head, and tied on the handles of the purse! I love your 6 ways of wearing the scarf and the scarf wrapped around the foot is my favourite. I've never thought of it, but it looks so chic. What a great challenge to get the most wear out of your scarf! Great pop of color in every outfit. I'm so happy to hear that!! How cool! I love how you styled the scarf different ways. The ankle one is so unique! 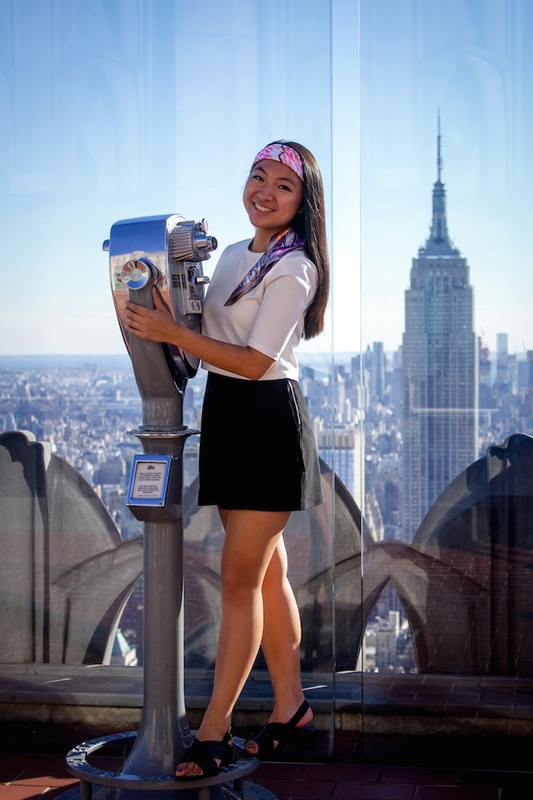 I love how innovative you were with this challenge, especially with using the scarf as an anklet! Would've never thought of that! Being a traveler and having a lot of things in terms of carrying the basics or having ideas about the thing that would go helpfully for us east coast bus tours is one of those qualities that goes ahead so far which i personally prefer getting into..